2007 The Opium Debate and Chinese Exclusion Laws in the Nineteenth-Century American West. University of Nevada Press, Reno. 1996 Asian Coins: Dong, Wen, and Mon. In Down by the Station: Los Angeles Chinatown, 1880-1933, Roberta S. Greenwood, editor. pp 98-104. University of California, Institute of Archaeology, Los Angeles. 1898 New York’s Chinatown: A Historical Presentation of its People and Places. Bohemia Publishers, New York. 2011 Healing Teas for your Body, Mind, and Soul. Apex Publishing Limited, Essex, England. 2000 Chinese San Francisco, 1850-1943: a trans-Pacific Community. Asian America. Stanford University Press, Stanford. 2008 The Luck of Third Street: Archaeology of Chinatown, San Bernardino, California. In Historical Archaeology, 42(3): 135-151. 1994 Historical and Archaeological Investigations at Virginiatown: Features 2 and 4. Masters Thesis. California State University, Sacramento. 1987 Traditional Chinese Clothing in Hong Kong and South China, 1840-1980. Oxford University Press, New York. 1996 Down by the Station: Los Angeles Chinatown, 1880-1933. Institute of Archaeology, University of California, Los Angeles. 1982 Chinese Art III: textiles, glass and paintings on glass, carvings in ivory and rhinoceros horn, carvings in hardstone, snuff bottles, inkcakes and inkstones. New York: Rizzoli. 1900 Chinese Art and Life in San Francisco. Brush and Pencil 6(6): 282-286. 2013 Symbolic Meanings of Chinese Porcelains from the Market Street Chinatown. Available online, https://marketstreet.stanford.edu/wp-content/uploads/2013/08/Kang-2013.pdf, accessed November 17, 2017. 1993 The Study of Faunal Remains from an Overseas Chinese Mining Camp in Northern Idaho. In Hidden Heritage: Historical Archaeology of the Overseas Chinese, Priscilla Wegars, editor, pp.97-122. Baywood, Amityville, NT. 2016 Rising from the Ashes: Jacksonville Chinese Quarter Site (35JA737) Data Recovery Excavations, unpublished SOULA report 2013.09, on file at Southern Oregon University Laboratory of Anthropology, Ashland. 2002 China or Prosser Button Identification and Dating. Historical Archaeology 36(2):111-127. 2001 Deadwood Gulch: The Last Chinatown. In Chinese on the American Frontier, edited by A. Dirlik, pp. 429-447. Rowman and Littlefield, Lanham, MD. 1993 Hidden Heritage: Historical Archaeology of the Overseas Chinese. Baywood Publishing Company, Inc. Amityville, New York. 1994 Hidden Heritage: Chinese Historical Archaeology and the Asian American Comparative Collection. In Origins and Destinations: 41 Essays on Chinese America, edited by Chinese Historical Society of Southern California, pp. 491-499. Chinese Historical Society of Southern California and UCLA Asian American Studies Center, Los Angeles. 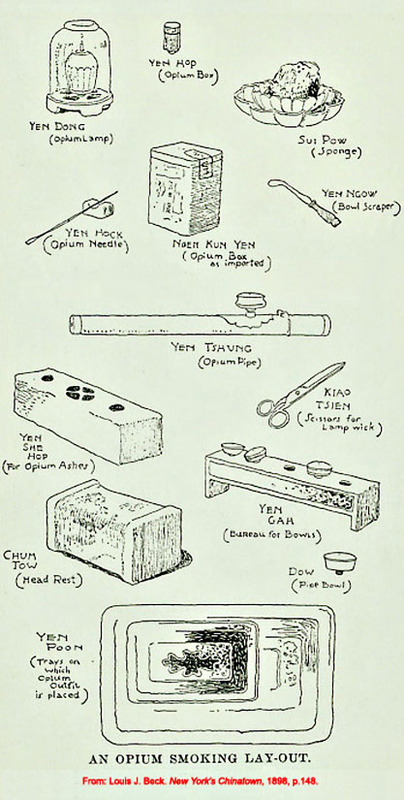 1993 Chinese Opium Techniques and Paraphernalia. In Hidden Heritage: Historical Archaeology of the Overseas Chinese, edited by Priscilla Wegars, pp. 255-303. Baywood Publishing Company, Inc. Amityville, New York. 1998 Translation Sheets for American River Chinatown Artifacts, Folsom, California. Manuscript on file, PAR Environmental Services, Inc., Sacramento, California. 1999 Translation Sheets for American River Chinatown Artifacts, Folsom, California. Manuscript on file, PAR Environmental Services, Inc., Sacramento, California. 2008 Analysis of the Chinese porcelain associated with the “Beeswax Wreck,” Nehalem, Oregon. Graduate thesis, Central Washington University.